There is an excellent dump not far from my house and I always enjoy a visit. 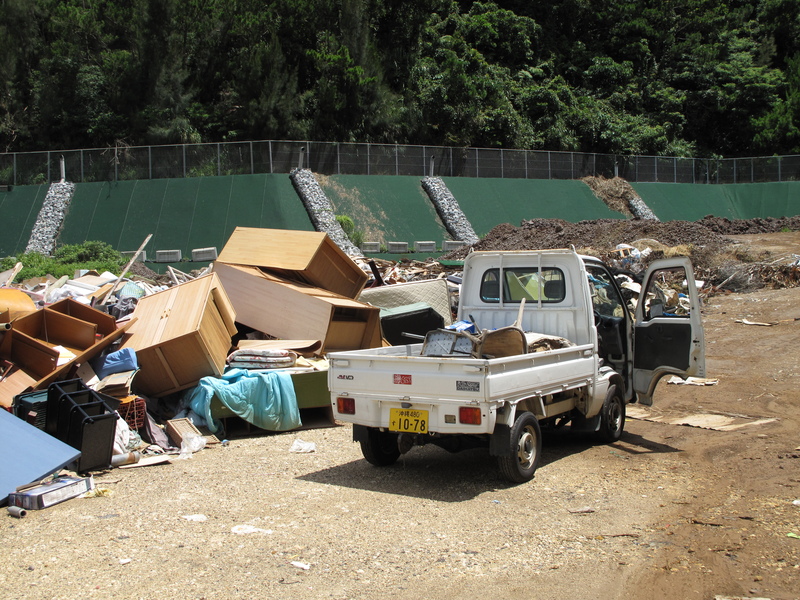 I like getting rid of stuff and the Okinawan climate destroys stuff very quickly. Today I junked, old chairs horribly twisted by hot rain and humidity, rusted tables, a bunch of wooden stuff, my broken side stay, various old computer boxes and that sort of thing. 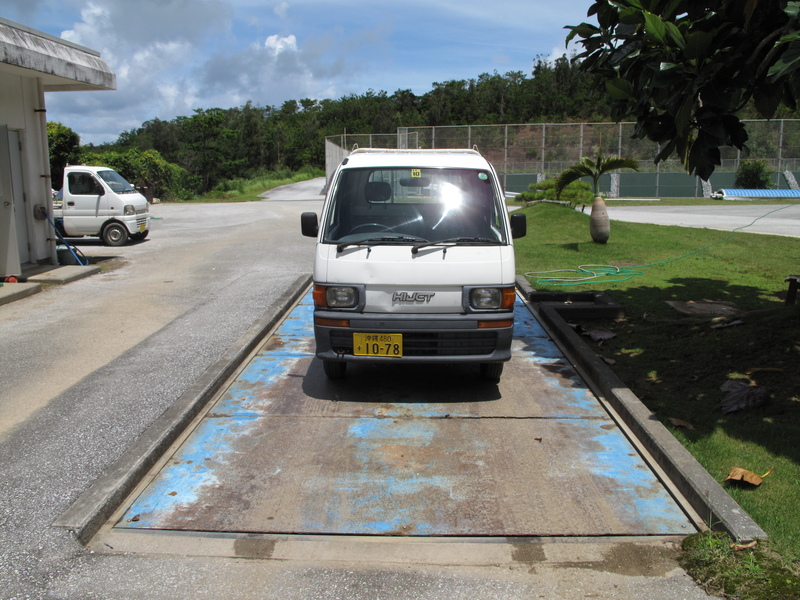 The truck is up to the job and before we know it we are on the weighbridge. However this is just a prelude to the real business of the day – taking Dileas out onto the wild and wistful ocean. The stay arrived on Thursday and I raised the mast on returning from the dump. 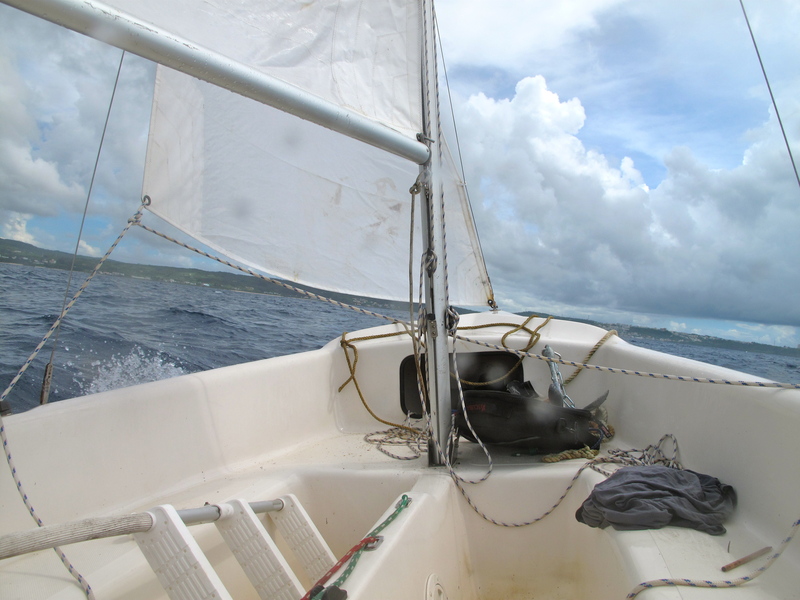 I was blessed by light wind coming off the shore and I was able to sail straight off the mooring. I was very eager to see if I could sail Dileas single-handed. With the wind behind we set off for China. After about 3 miles I decide to leave China for another day as the wind changes direction and a series of squalls and rainstorms arrive from the South. Charging along. Sorry that she looks so messy but I will have her more shipshape on the invasion I have planned for tomorrow. Finally after months of preparation, I am sailing Dileas on the East China Sea. She is very stable and given any reasonable wind, planes over the waves at a very satisfactory speed. I think she is the perfect craft for the local condition as she has very shallow draft. The sea around here is deceitful. You think you are in deep water until you look over the side of the boat to see a coral reef only six feet below the surface. 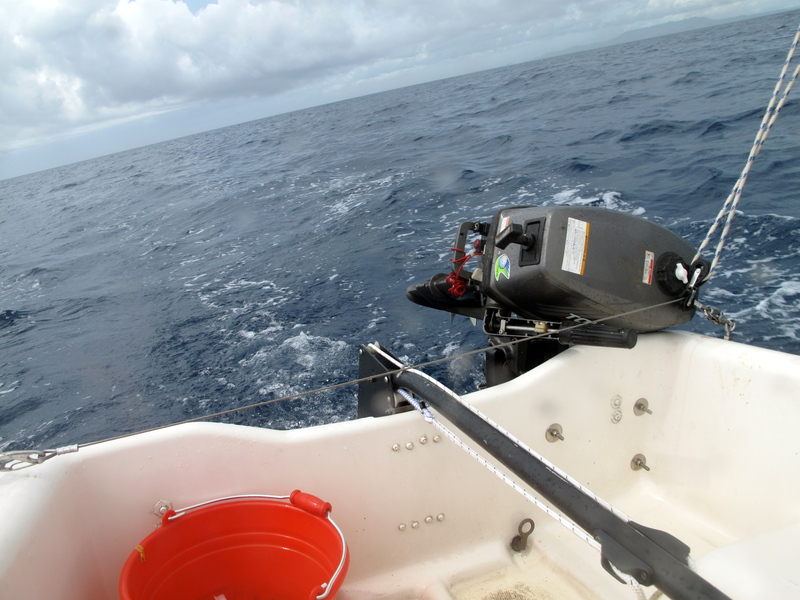 Both the center board and the rudder are spring-loaded so they lift if they come into contact with reefs. She is also surprisingly large. I could entertain a host of starlets to sunset champagne cruises as long as they did not speak or irritate me. After much gybing, going about and getting to know the boat, I tack homewards. She can sail pleasingly close to wind. Red bucket always comes in handy. Never touched the motor during the whole trip. Great satisfaction as I am able to sail straight back to the mooring and pick it up like a real pro. Unfortunately no one was watching. Tomorrow is Sunday and I am going to invade a little island about 15 Km north of here. I have never been there but it looks idyllic. I do not think I will be able to sleep tonight. This entry was posted in Uncategorized and tagged dump, invade, sailing. Bookmark the permalink. Hope you made it to the island, and back. Looks a great boat. Do you have a waterproof bag for your mobile phone? Don’t make the Smash with sea water. Yes, I’ve also been concerned at the absence of information as to the success of the invasion. You weren’t suddenly taken with emulating those guys sailing to Norway and headed for Taiwan instead? I see that the wind is forecast to be pretty strong today and onwards! 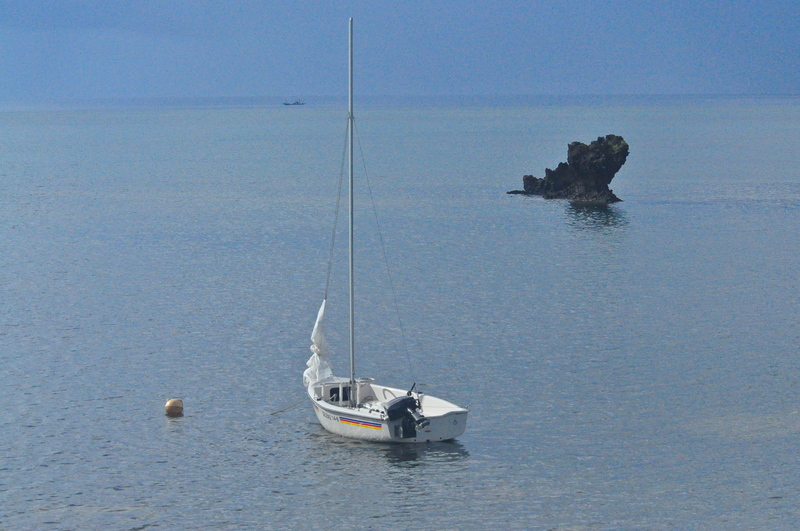 Following the reported behaviour of the Miyako fisherman, are the little boat and Dileas ashore?